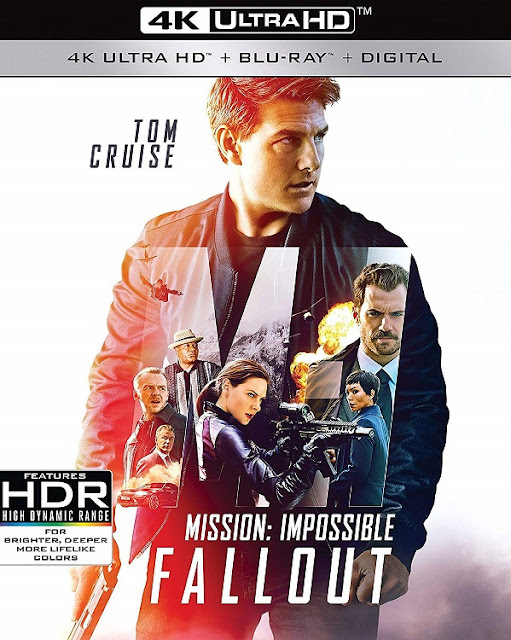 Mission Impossible: Fallout Is Headed for 4K Ultra HD and Blu-ray on December 4th! On a dangerous assignment to recover stolen plutonium, Ethan Hunt (Tom Cruise) chooses to save his friends over the mission, allowing it to fall into the hands of a deadly network of highly skilled operatives intent on destroying civilization. Now, with the world at risk, Ethan and his IMF team (Simon Pegg, Ving Rhames, Rebecca Ferguson) are forced to work with a hard-hitting CIA agent (Henry Cavill) as they race against time to stop the nuclear threat. 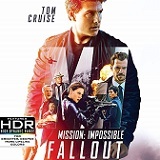 Written and directed by Christopher McQuarrie, MISSION: IMPOSSIBLE—FALLOUTalso stars Sean Harris, Angela Bassett, Michelle Monaghan and Alec Baldwin.